Stopping Boston, Newton tragedies: Military technologies help in domestic threat detection. This week, it’s bombs. In December, it was guns. How do we fight back against those who want to hit us where we are most vulnerable? How do we stop events like the Boston Marathon bombing and the Newtown, Conn., shooting from happening again? Lucky for you and me, scientists are busy working on the next generation of threat detection. Of course, most of these projects began as an attempt to help our troops avoid IEDs and ambushes overseas. But as this week’s bombing shows yet again, that danger knows no borders. When people started talking about giving teachers guns after Newtown, the wheels started to turn for Kamal Sarabandi, an electrical engineering professor at the University of Michigan. Sarabandi’s specialty is in remote sensing, and last year he worked with the Department of Defense on a project to investigate how radar could be used to detect weapons and bombs on a suspect’s body. The project was designed for military applications, but Newtown made him see the potential for threat detection at home. Since December, Sarabandi has been hard at work aiming radar beams at faux-bomb-wearing mannequins inside his anti-echo chamber. (You say “mad scientist” like it’s a bad thing.) Sarabandi’s goal is to take radar similar to what the police use to bust you for speeding and combine it with Doppler radar signal processing (which you know from the Weather Channel) to create a long-distance detection beam. Complex computer simulations of human gait and torso shape allow Sarabandi to find the tiny irregularities indicative of hidden objects, especially those made out of metal like guns or vests packed full of ball bearings. 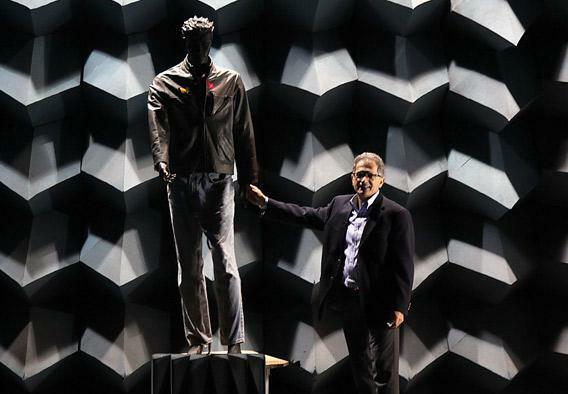 So far, the system works on a mannequin in a radar-friendly room, but the goal is to improve the technology to single out specific targets in a crowd and detect potential threats in less than a second from up to 100 yards away. “Schools, airports, stadiums, or shopping malls—wherever there is a large number of people that you want to protect,” Sarabandi said in a press release. Another promising threat-detection technology has to do with an improvement in sniffing. Scientists at the Department of Energy’s Pacific Northwest National Laboratory have developed a new, highly sensitive process that can discover explosive vapors at levels below 25 parts per quadrillion. (That’s a whole order of magnitude better than most sniffers.) Samples need not be swiped and preconcentrated, and officials don’t have to take anything back to the lab for results. The PNNL’s vapor detector works in real time. And unlike a dog—currently the best in the bomb-sniffing biz—the robo-sniffer doesn’t require training, food, exercise, or the services of a pooper-scooper. From the olfactory to the horticultural, you may remember the scientists working on bomb-sensing begonias at Colorado State University. The plants have been “taught” to respond to certain chemical compounds by changing color, which is really just a co-opting of the plants’ natural defenses. And then there’s the technology in development we don’t even know about. In 2011, a team at Michigan State University published a paper in Applied Physics Letters about a “single-beam coherent anti-Stokes Raman scattering”—or a way of using lasers to detect traces of explosives from considerable distances. * But when lead developer Marcos Dantus was pushed for details, Dantus told the BBC that he wasn’t a squealer. Nobody said the world was a safe place. And it’s clearly impossible to thwart every attack, be it the actions of militaries, terrorists, or the mentally ill. But a great many smart people are searching for new ways to keep you safe—even if it looks like they’re just playing in padded rooms with their dolls. Correction, April 17, 2013: This post originally misstated the name of the journal Applied Physics Letters.